[PDF] Pugin's Gothic Ornament: The Classic Sourcebook of Decorative Motifs with 100 Plates (Dover Pictorial Archive) | Free eBooks Download - EBOOKEE! 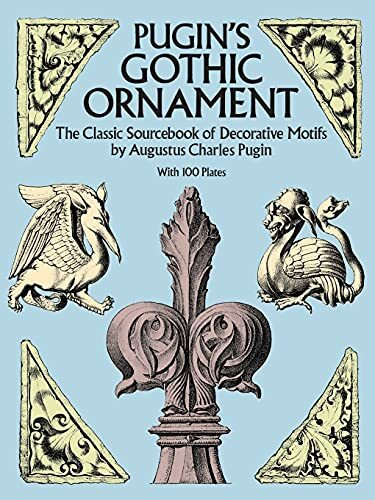 Description: Product Description: This classic sourcebook of decorative motifs contains 100 plates of royalty-free Gothic designs, meticulously reproduced from rare 19th-century engravings. Many are floral and foliate designs rendered from panels, capitals, borders, brackets, friezes, grotesques, and other decorative elements from such architectural landmarks as New College Chapel at Oxford and Rouen Cathedral. No comments for "[PDF] Pugin's Gothic Ornament: The Classic Sourcebook of Decorative Motifs with 100 Plates (Dover Pictorial Archive)".